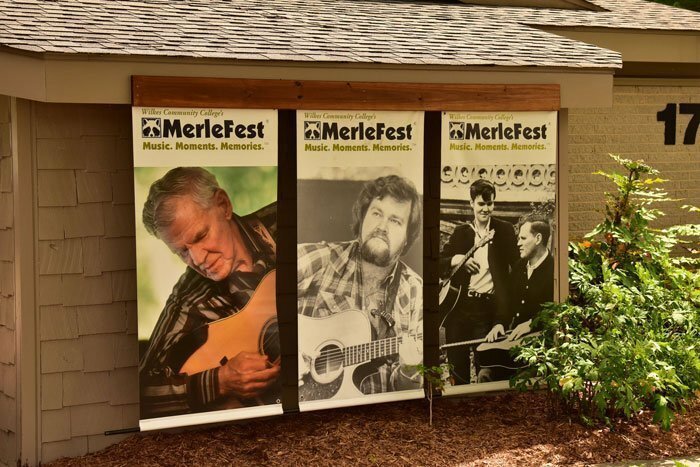 Merlefest was initially conceived as a Wilkes Community College (WCC) fundraiser and quickly grew into one of the nation’s most iconic music festivals. Each year on the last weekend in April, 76,000 festivalgoers come from all over the country to the see musical guests of all levels of notoriety. To learn more about it, we were lucky enough to chat with Frederick B William Townes IV (or “B”), the Festival Director. Also known as “the father of Merlefest,” he took a few minutes to share its origins, where it stands today, and all the people whose tireless efforts have made it a success. We’ve also included Merlefest among the best spring things to do in North Carolina. If you’re looking for Merlefest tickets, check here. B Townes has lived in our state for 40-plus years, going back to his time as a student at NC State. He’s retired from his positions as Professor and VP of Development at WCC, but remains involved with all aspects of Merlefest. Townes is also quite active in the community, and is a key figure in the Friends of the Mountains-to-Sea Trail. He even took a minute to share his love for the Mountains while chatting with us. He’s particularly fond of the community of Edgemont for hiking and trout fishing. In his own backyard of Wilkes County, he recommends hiking in the wilderness section of Stone Mountain. When we started talking about Merlefest, Townes said, “It is a showcase of ‘Traditional Plus’ music, but from the beginning, we refused to be labeled.” Part of the success of MerleFest is having so many different types of musical acts pass through. 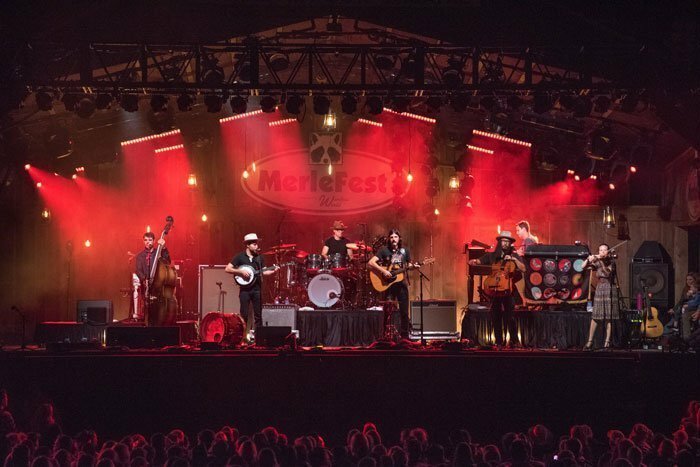 During the festival’s history, names like Dolly Parton, Elvis Costello, Cleveland County native Earl Scruggs, and The Avett Brothers (also from North Carolina) have graced Merlefest’s dozen-plus stages. Regardless of who comes through, the festival remains a tribute to Merle and Doc Watson’s musical legacies. Proceeds from Merlefest benefit the WCC Foundation, which funds scholarships, capital projects and other educational needs. Flattop! Image by Michael Freas. And just like the original, Merlefest has kept up its “family-friendly” reputation, with no alcohol or smoking allowed. 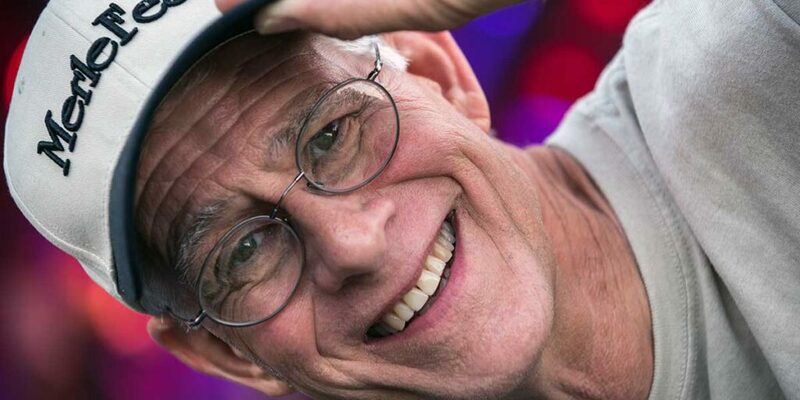 According to B, “Doc would even call folks down if he heard them cussing.” If the amazing music isn’t enough to keep the younger ones entertained, the Little Pickers Family Area and Acoustic Kids Showcase (in-advance registration only) should do the trick. You’ll also find Flattop running around the festival grounds. That is a big friendly raccoon is Merlefest’s official mascot. Not only does he embody the festival, but he represents Merle’s band, Frosty Morn. A raccoon featured on their logo. His name originates from Merle and Doc’s mastery of the flattop guitar. How did Merlefest get its start? According to Townes, “The goal was to raise money for the WCC’s Horticulture Department in 1988.” B and friend Bill Young decided to do so through a music show, or benefit. And in the fall of 1987, Townes connected with Bluegrass legend Doc Watson to ask if he would come and play. Doc agreed to play for the benefit as long as Townes memorialized Watson’s son Merle, who died in 1985, with a garden. They picked a date a month away and Townes went to the college to reserve WCC’s Walker Center, which seats about 1,000, for the show. With time not on their side, Doc’s wife smartly suggested that they move the fundraiser to the spring, around the end of April. Also, some of Doc and Merle’s friends come come and they’d do a festival instead. The date everyone agreed on just so happened to be near the end of touring season, so many musicians signed on. Merlefest Museum Image by Mickey Leapley. B Townes said, “In the winter before the first festival took place, the festival quickly sold out, which signaled a need to expand.” Adding an outdoor stage, using word-of-mouth, and a small advertising budget, tickets were purchased worldwide. B and a friend synced up audio and visual tracks from the 1988 concert and sold copies all over the world. The first festival was viewed wildly successful with tons of help from volunteers and an international audience. Yet, MerleFest’s future remained unknown. “Looking back, we had that one purpose—to raise money for that initial garden,” Townes said. Soon, requests for information about the next Merlefest started coming in. Townes said he initially wasn’t interested in doing it again. However, with demand growing, the 1989 edition went on. And, it was a hit. That ultimately convinced B and others to continue putting on Merlefest each year. Since the beginning, Merlefest depended on the strength of volunteers, which numbers about 4,400. As a fundraising effort, Townes needed help. 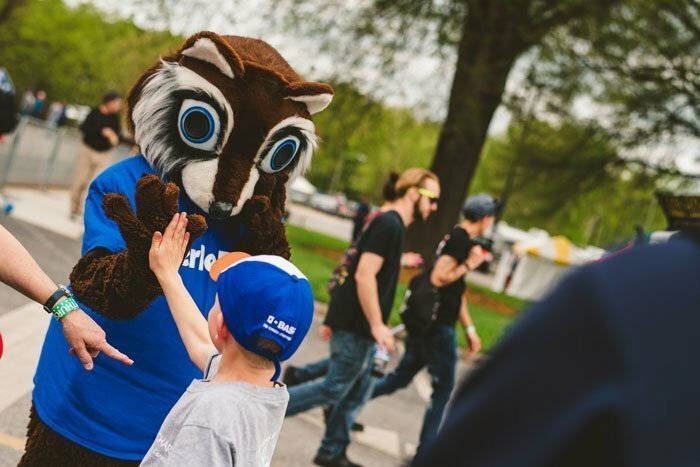 “The spirit of volunteers was what made and continues to make Merlefest successful.” Volunteering is a great way to not only help Merlefest, but also a way to attend for free. With a variety of jobs, volunteers may choose just one day or all four days with more shifts being three to five hours. The Avett Brothers in 2017. Image by Dr. Gordon Burns. 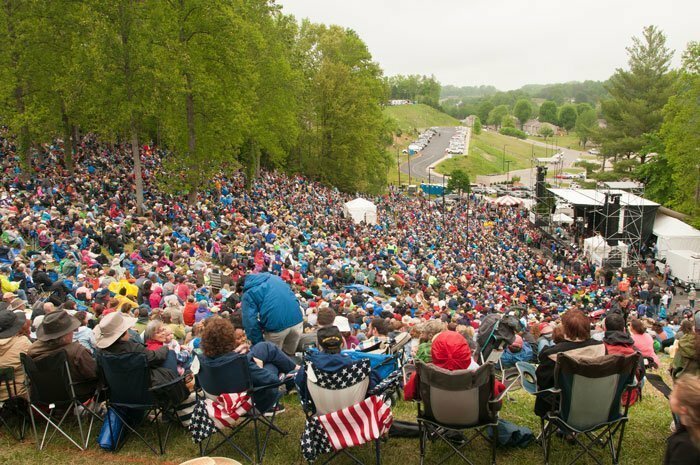 Today, the economic impact of Merlefest back into the community is $12-15 million, with the revenue serving 45 area nonprofits. As Townes explained, “It grew from a one-day one-man concert to a two day, multi-stage festival (13 now) with over 100 musicians. And as they say, the rest is history.” We’re grateful that B took the time to share that history with us. Also, we look forward to seeing Merlefest in person for many years to come. Have you ever attended Merlefest? What do you think about this awesome event? If you have any memories or tidbits from previous Merlefests, we’d love to read about them in the comments section. This feature is part of our series on the People of NC. Images provided by Merlefest. Special thanks to IVPR for connecting us with B. All opinions within this article are our own. This entry was posted in People of NC and tagged Merlefest, Music Festivals, The Mountains, Wilkes County, Wilkesboro.